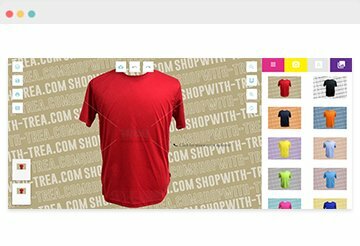 Custom Cotton T-shirt Printing | Round neck T shirt | MOQ of 10pc only! We provide high quality ladies custom cotton t shirt printing in Singapore at affordable rates. You can print any design on our wide range of custom t shirts. We have different printing methods to suit your design. For 1 to 2 color designs, they can be printed with silk screen printing. Full color designs can be printed with direct to garment (DTG) printing or heat transfer printing. We have other options for ladies t shirt printing as well, such as drifit t-shirt, cotton t-shirt and drifit polo t-shirt. Our custom cotton t-shirt can be customised with low MOQ of 10pc only! For express cotton t shirt orders, you can get your t shirt printed at as fast as 3 working days! Speak to us today for a quick quote!